My first memorable encounter of Samantha Wills' eponymous label involves the power of instagram, Bohemian Bardot Ring and the ethereal beauty of the brand's dreamy aesthetics. I was helplessly yet willingly drawn into the world of vintage-inspired glamour and wondrous images of her endless yet purposeful travels. As the brand's own ambassador there is no one better to channel the personality and voice of Samantha Wills than the founder herself. We cannot help but assumed the position as her best friend, sister and trusted confidant whilst she shares her personal life and in depth visions with her adoring fans. From handmaking jewellery for her families and friends to being described as 'Australia's biggest export since vegemite', her story is certainly something for everyone to aspire to. I had the greatest pleasure interviewing Samantha where she discusses the global success of her jewellery label, her love for social media to connect with her fan base and limitless future aspirations. 1. What were your original aspirations before you started a career in the jewellery industry? I actually wanted to work with dolphins! I don't think I connected the importance of being good at science though, so needless to say I was much more of a creative than an academic. 2. How would you describe your brand and the person wearing your jewelry? 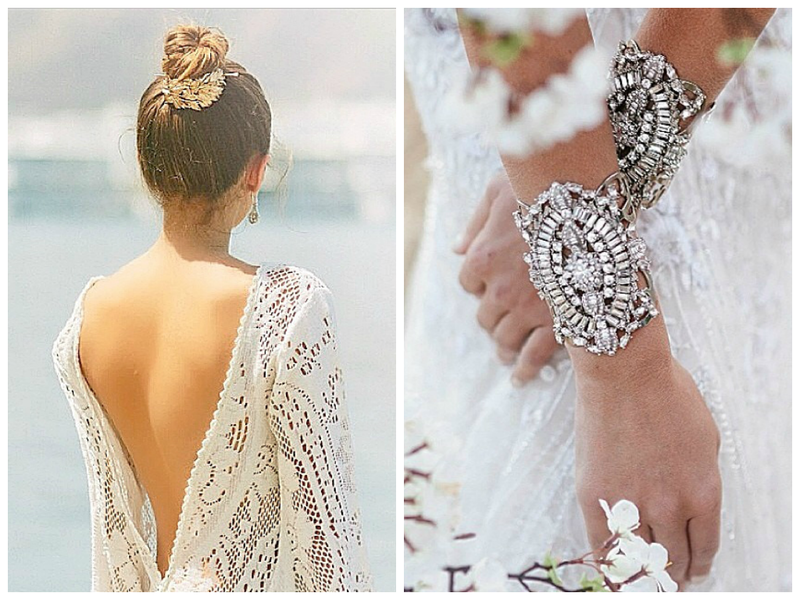 We describe the brand aesthetic as bohemian luxe. She has a bohemian spirit for travel, to be near the ocean, but her style is chic. She might wear black skinny leg jeans & a tailored blazer. She layers her jewels & mixes costume jewelry with her fine jewelry. Her interior style is also reflective of bohemian luxe, white-washed floors mixed with masculine leather chairs & french mirror furniture. It’s all about juxtaposition. 3. What are the challenges of working in the jewellery industry? Like any product industry, maintaining product consistency & logistics always consume a lot of time & resources. The industry is quite saturated at a retail & media level, so ensuring you are continually evolving is important at a brand level. 4. Your expertise in effective social media engagement amongst your core audience is second to none. What is your take on it? What are the advantages and disadvantages you've experienced so far? Oh thank you! I really enjoy the social element of branding in this day & age! I think authenticity is key. Consumers are very informed, so trying to fabricate something will be seen straight through. Consistency is also important. I think when you start out as a designer, unlike an actress or recording artist, you don't expect fame; so I guess a down side has been being accessible 24 hours a day and trying to manage the line between brand & personal, in an authentic way. It has been a bit of challenge but all in all, the social platforms are the biggest voice of the brand so it is important that I am very invested in this space. 5. 5. There are many young and emerging jewellery designers who are using social media platforms to showcase their work. What advice would you give them in order to create their own unique identity online? Treat your Instagram account as your portfolio. Think about your content, plan your content & study what works. You need to look at it as story; this may sound weird, but introducing new characters sporadically can be confusing to your audience. If you are using your IG for business & brand development, you cannot treat it as you would a personal feed. Think: polish & professionalism. 6. What is the best social media platform you enjoy using and why? I love Instagram but I am also really into my Tumblr at the moment! I like that is it very visual & acts as moving artwork. It is a very low maintenance platform with high visual impact. 7. What is your favourite piece at the moment from your own collection? What do you wear regularly? I get asked this a lot! 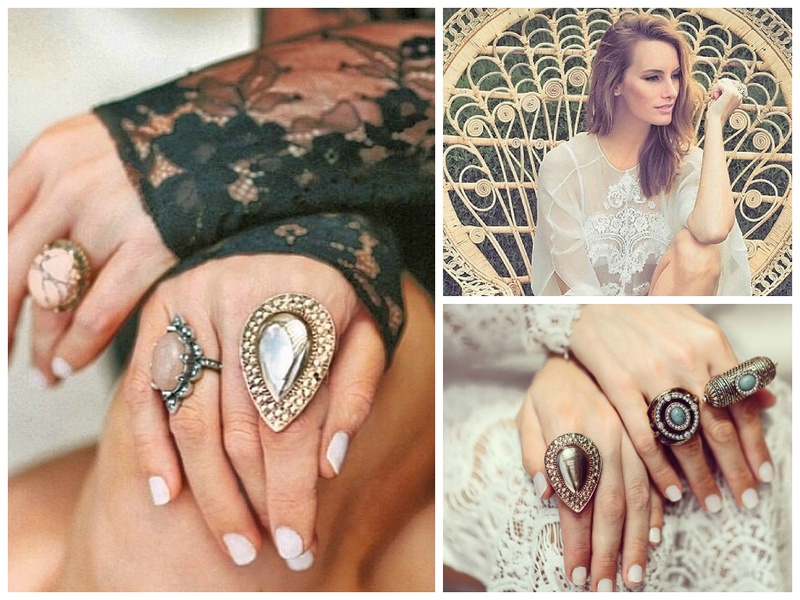 The Bohemian bardot rings are probably my favorite children! I am loving the metal one as it goes with everything & it’s a new chic take on a more bohemian style. In the FINE line I LOVE our Beautiful Mantra necklaces & the minerals necklaces. 8. If you could collaborate with another brand/person who will it be and why? YSL! I love everything about that brand. 9. What would you say is your signature piece? The Bohemian Bardot became our unassuming signature when Eva Mendes wore it back in 2008. It has been our best seller ever since! 10. In which country or city you feel reflects in most of your work and why do you think that might be? There is not one city. My work is reflective of my two homes: Sydney & New York City. I think this also perfectly reflects Bohemian Luxury. 11. What is your motto in life? 12. You also have a bridal range, stationary and homeware added to your ever-expanding empire. What's next on the horizon for the Samantha Wills brand? Bridal + FINE are our main secondary divisions. We have a really exciting category launching in mid-November that we will be announcing in the coming weeks. Every new category is an organic move for the brand. I'm a selfish designer; I design the things I wish existed!